The UntilGone.com rewards program consists of five different loyalty levels: Bronze, Silver, Gold, Diamond and Blue Diamond. The higher your level, the more perks you'll earn, including more points earned for every dollar spent. 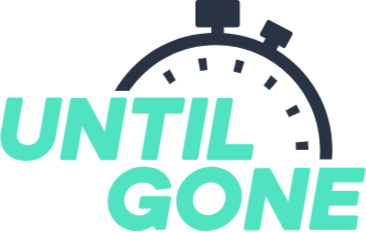 UntilGone.com members are rewarded for their purchases and certain activities. Members earn points for every dollar spent, as well as for spreading the word about UntilGone.com! The more points you earn every year, the higher your membership level will be and the more perks and benefits you'll receive. Points can be redeemed within one year of being accumulated (see point redemption & expiration sections below). Here is a table showing the number of yearly points you need to earn for each level, as well as the number of points you can earn at each level when you make purchases on UntilGone.com. My one problem with this is that I think I might have been fairly close to the blue diamond level. Now I'm back to the beginning of the diamond level.